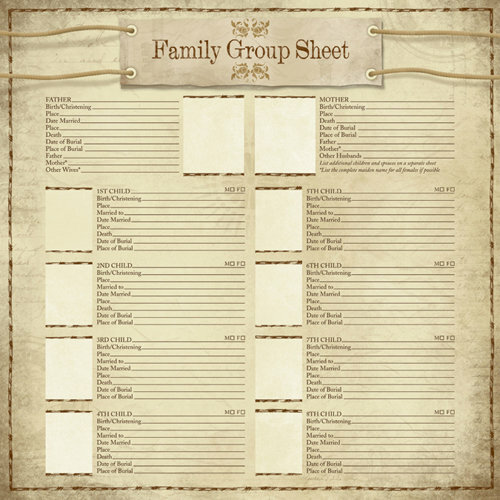 Document who is on your family tree with the My Family Group Sheet from Karen Foster Design. 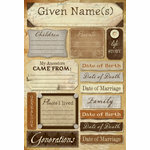 Included is one 12" x 12" single-sided sheet of paper from the Ancestry Collection. My grandmother had 16 children, my husband is one of 13 children, my great uncle had 24 children. The problem is these are pre-numbered (not good when you have a large family). Excellent card stock page. Easy to write on. A little room for wallet size pictures. Excellent layout. Suggestion: seller should either remove the numbers or offer a 2nd page for larger families. Insanely fast shipping, perfect packaging, and I love the layout. This page is good because it shows the ancestors at a glance. I ordered a few of them so each of my children can have them in an album. 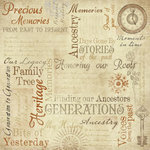 I was so happy to find this for my genealogy book!! 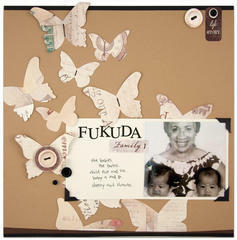 This scrapbooking page is so wonderful and very well made! 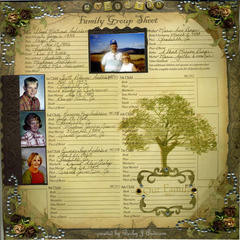 The design is very useful for genealogy and the quality of the paper is great! These are great quality papers. 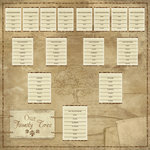 Cant wait to do family tree for my children. 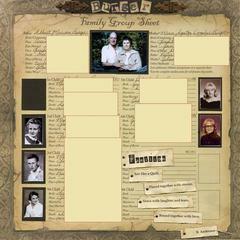 These sheets were perfect for keeping each family record.. A great way to keep the photos organized also. Arrived quickly too! These pages are great. 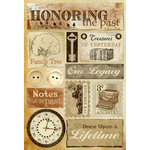 Perfect for the genealogist and scrapbooker. 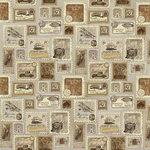 I ordered this and absolutely love it. My problem is my grandmother had 16 children (failed to notice that it only has 8 children). Is there a second sheet? Or how could I make a second page? Or get a second sheet and alter the numbers using white out? Thank you in advance for any suggestions. By: holly.haire (12-Oct-16) Helpful Question? Yes | No Thank you! Report Inappropriate This question has been reported. Thank you! I think I might try to match the paper color and print with the computer "9TH CHILD _____________________" and try to make it look the same with the M/F block, or just type MALE or FEMALE since you already know. If you have a color printer, you can print in brown ink, cut out that line and paste over the 1ST-8TH. 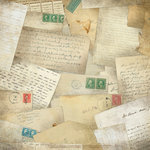 If you do not have access to a color printer, I would still use paper as close as possible to the color on the sheet, and purchase a sepia color or brown pen to write it out. My experience is the "white out" will stand out, and when you write on it, at least for me, it doesn't come out very neatly. Just one approach :-). I think the key is getting it to blend in with the paper. Good Luck! By: GiGiCooks (15-Oct-16) Helpful Answer? Yes | No Thank you! Report Inappropriate This Answer has been reported. Thank you! My suggestion would be to use a second sheet of the same product to create a fold-out or fold-down that would extend the page. I haven't used this particular product but have added the fold-outs to other layouts where I wanted more than a 12x12 design. By: bransonscrapper (06-Oct-18) Helpful Answer? Yes | No Thank you! Report Inappropriate This Answer has been reported. Thank you!